Anyways, this jacket is the bulk of what I picked up during the Loft $50 off $100 Facebook coupon and I thought it was very nautical in the store. 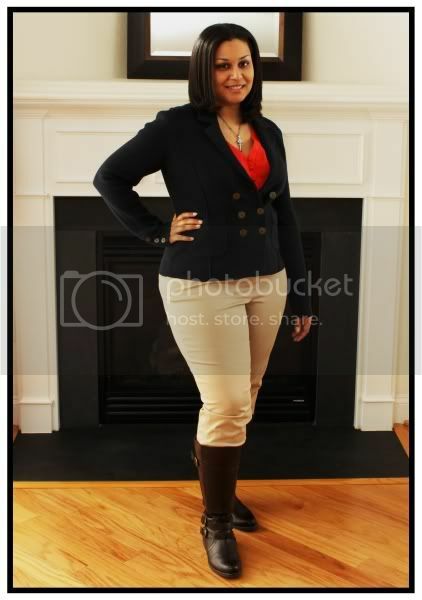 But when I brought it home, it was sooo preppy lol! Love it. 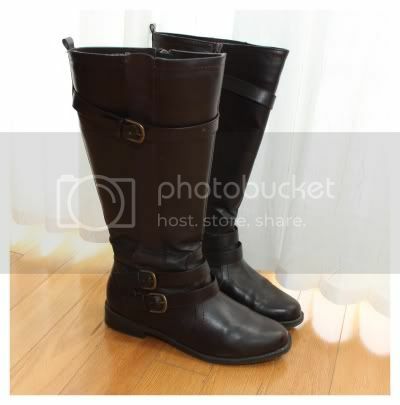 These are some super cheap boots I got from Avenue last year. They fit really well, and were like $30 or something like that. Kimberly was talking about great boot deals there recently as well. 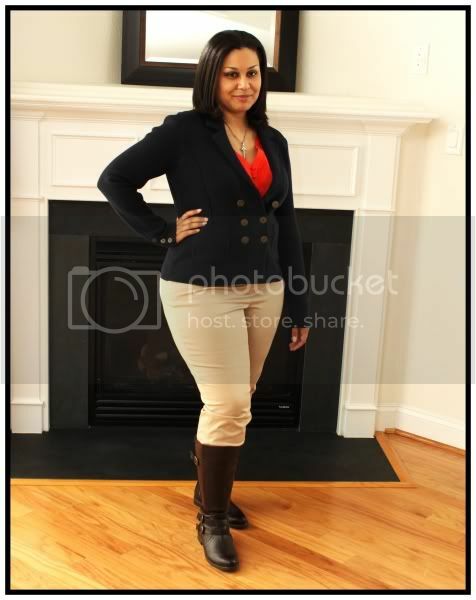 This is a jacket from Talbots, its on sale still for SUPER cheap! This is the Spruce color. Yeah, its a wedding dress...but I love it!! I have been married for awhile, but I put this page in my "style binder" Sept 2010. LOL~ I guess I just like the dress, cause I certainly don't need a wedding dress. 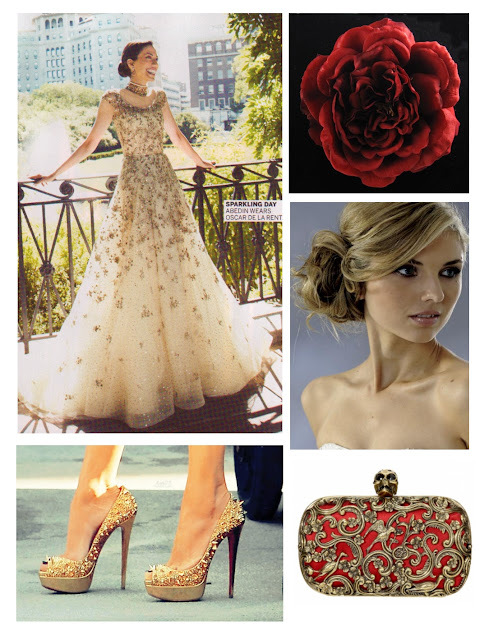 Oscar de la Renta Dress, Louboutins and an Alexander McQueen clutch. Sounds pricey, but we know they don't have to pay for any of it. Best deal ever LOL! 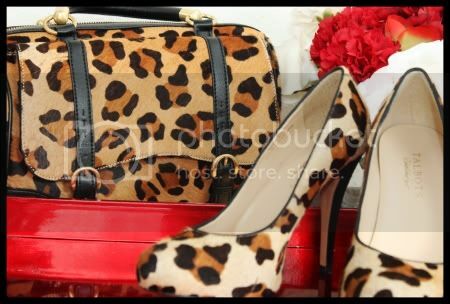 When I bought these shoes and bag, I told hubby there was no way I was going to wear them together. I thought it would just be way over the top. 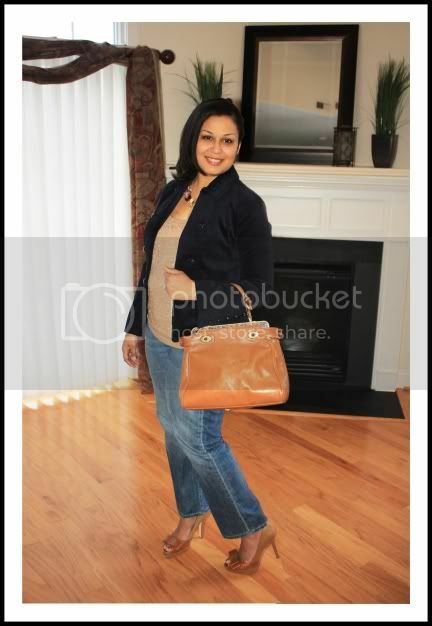 So I was getting ready, and I told hubby I was going to wear the bag, and he was like you *HAVE* to do the shoes too. So....I did. 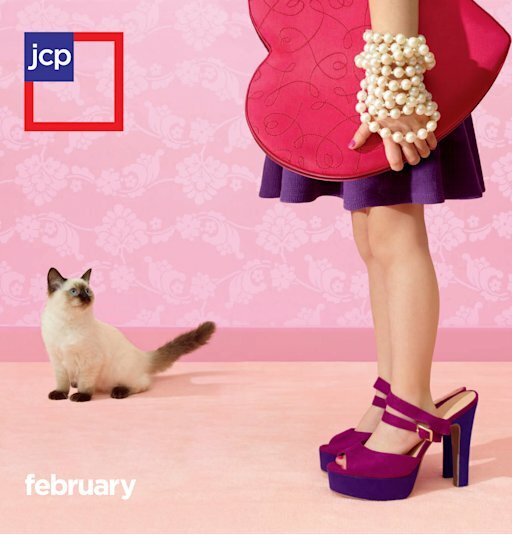 I don't actually shop at JC Penney too much, but i happened to hear last night on the news that they are no longer going to have constant sales as part of their pricing structure, but instead will mark everything down 40% and go from there. I am very interested to see how it will work! The increased discounting has been a vicious cycle that only feeds into shoppers' insatiable appetite for bigger and better discounts. In fact, whereas it took 38 percent off to get shoppers to buy 10 years ago, it now takes discounts of 60 percent, Johnson says. At Penney, the regular price on an item that costs $10 to make rose 43 percent, from $28 in 2002 to $40 in 2011. But because of all of its sales and other promotions, what it actually ended up selling for rose only 15 cents, from $15.80 to $15.95 during that same period. This is a very interesting article, and I think that Ron Johnson, Penney's new CEO and former Apple / Target alum is onto something. If you get a chance you should read it all. It covers the new pricing strategy in detail. Hi everyone, still sweater weather here (sigh) good thing the Loft had a constant fire sale going on all of December. Anyone been shopping the Red Hanger Sale at Tal's? 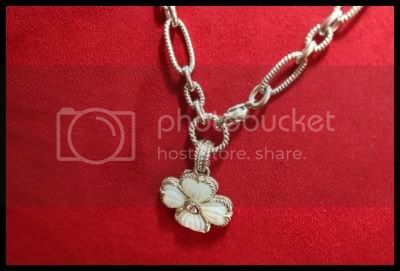 This is one my Judith Ripkas and was an Xmas gift from hubby one year. Tonight hubby and I went to a place for dinner that turns into a bar later at night. There was a really great band there. 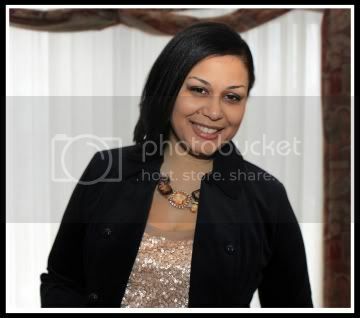 I saw these photos on the Marie Denee blog - www.curvyfashionista.com and I had to share. These ladies looked amazing. What can we learn from these gorgeous ladies? Wear your red carpet gown (ha!) close to the body! Show off the curves and don't hide them. Don't be afraid to go sleeveless or short sleeved. I may have mentioned I have really been into sequins this year. I got two sequin tanks for $15 over the Thanksgiving holiday from Talbots, and this is one of them. This velvet jacket is from Talbot's Holiday 2010, but its still online, in WP, but you might be able to find it at a clearance outlet, there were a ton in the GA clearance center a week ago for $25. Its beautiful. I just realised I am in Talbots head to toe. I got this bag over the summer. I liked how old-fashioned it looked. I haven't seen a frame bag in years! When I was a teenager, I bought a bunch of them from the 50s at a flea market or somewhere, and had them for ages. I kinda wish I still had them. 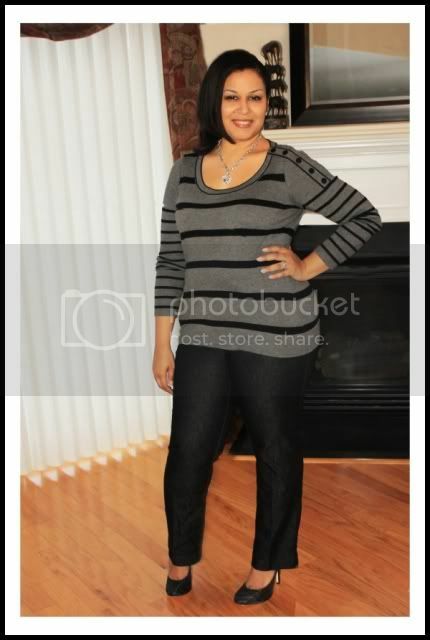 Today, I had on the work at home uniform, jeans, tee and cardigan. And of course, I am always cold, so a scarf as well. 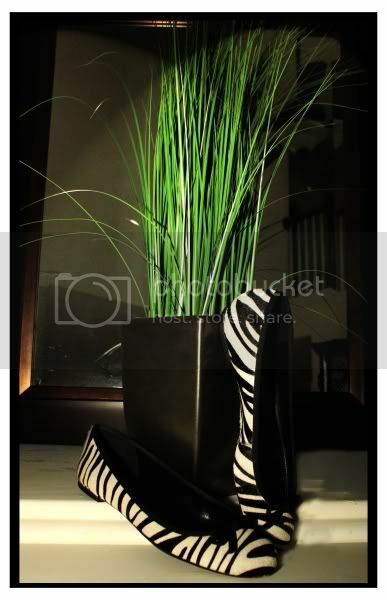 I do love these zebra shoes. They are calf hair flat from Talbots. I have had a weird time lately with Tal's shoes. I bought these, which are narrow, and they are a tad loose still. 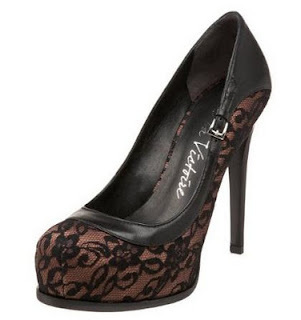 Then I bought some heels, and they are narrow and just a little tight in the toe box. Just not as consistent as they used to be. I really love shoes alot. Especially shoes with heels over 4 inches. I think I am Kim Kardashian's show kindred spirit. I always want her shoes. 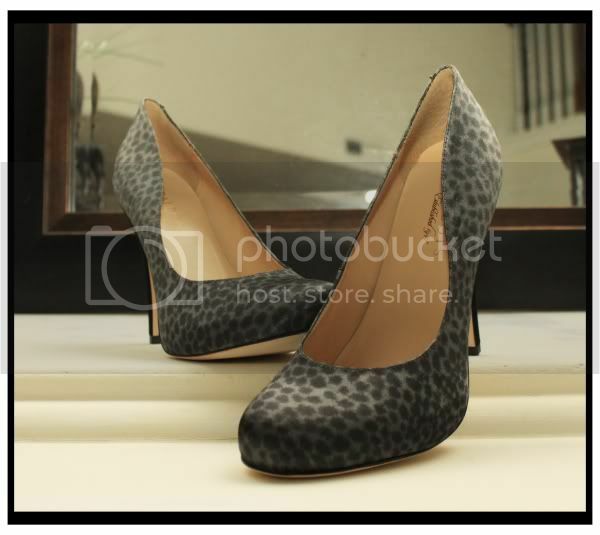 Lately, I have been gawking over shoes from Pour la Victoire. Does anyone have any pairs of these? Any idea how they fit? 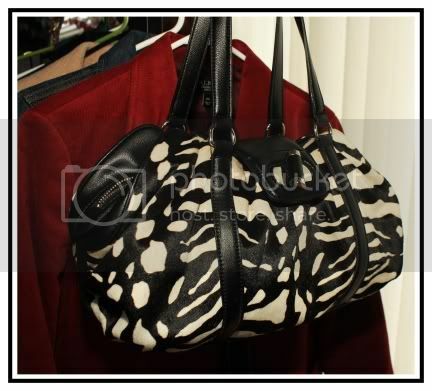 I got this bag from Talbots also, during the first part of the Red Hanger Sale. It appears to be sold out, and cost me $29.75 and was final sale. I love this outfit! The double breasted sweater here is a thing of beauty and only $32 during the Talbot's red hanger sale. Also, one of my favorite things to do is wear a "black base" and toss a jacket or sweater over it. 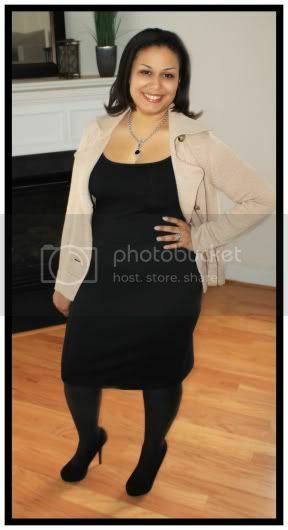 Its a black tank and then skirt and tights, or black pants. This is usually what I wear to go shopping, cause it makes it really easy to judge the new pieces I am trying on. Also, I saw this skirt on a Target clearance rank and grabbed it without trying it, it was perfect! Talbots has added their 2012 Spring and Summer lookbook to the website. I like a few of the color palettes, in particular, all the navy. Love navy. I am a huge sucker for the ikat prints, looks like top, dress and clutch in this navy. Love the clutch, and hoping for a skirt. Lots of hot pink and orange combos. These remind me of Lily Pulitzer. Especially the lace one. Um, and I guess floral on floral. And rose leggings. 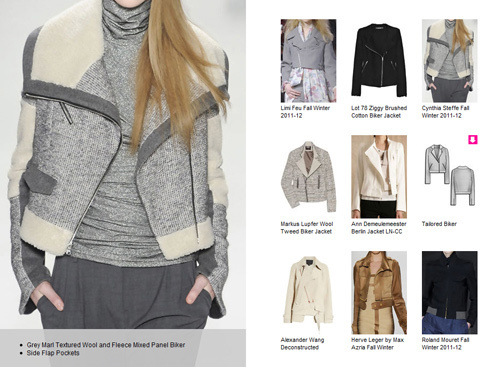 Last time we talked about the Moto Jacket then Colorblocking! Our next trend is the bell skirt. Runways have large oversized skirts and poufy overlays - our versions will be much milder in stores. 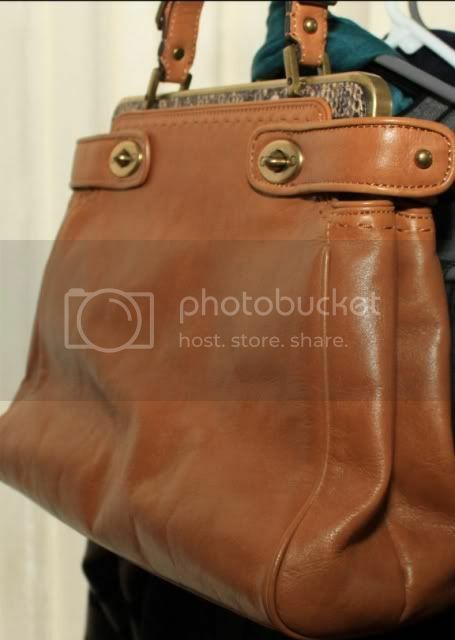 It is suggested to use a wide leather belt at the top to create visual interest. 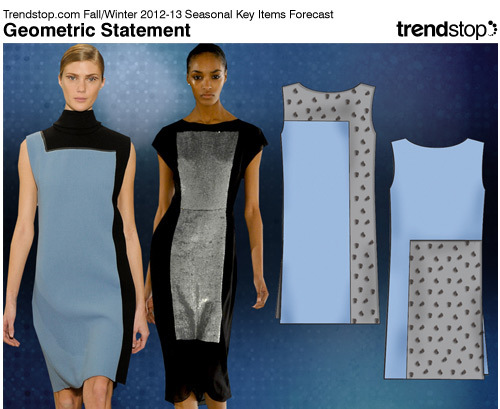 WeConnectFashion, courtesy of Trendstop.com, the site known for great visuals and early trend identification. There are no affiliate/paid links in this post. When I am sale shopping this late in the year for winter clothes, I think its fun to try and grab some things that will be on trend for next year. Since I tend to shop at places that offer classic clothing, and so many of the trends just recycle, its often easy to find some things that are classics that happen to be upcoming trend lines. 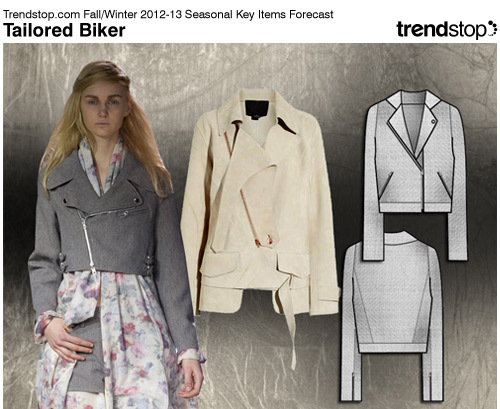 One of the "big" Fall 2012 ready to wear pieces that will "trickle down" from 2011 runways is supposed to be a "softer" version of the Moto Jacket. The details to note are the asymmetrical front, softer fabrics, like knits, and unexpected colors. I have seen several moto jackets on sale recently. 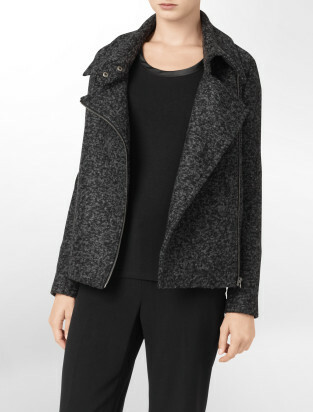 While the Talbots sweater jacket isn't a moto jacket, I thought it fit some of the details of the Fall 2012 trend, and included it. These jackets below are all "softer" fabrics, have the asymmetry and two are outside of the usual black. Keep this trend in mind when shopping sales, and you might have a fun, funky piece to add to your collection. Talbot's has added Free Shipping (today, Jan 5th only) to sweeten the current Red Hanger sale, no coupon code needed. Still lots of good stuff, they must have WAY over estimated holiday sales this year. 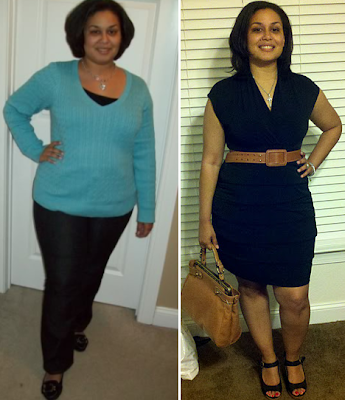 In January 2011, I decided to start putting my clothing budget towards a personal trainer, and got into a gym. 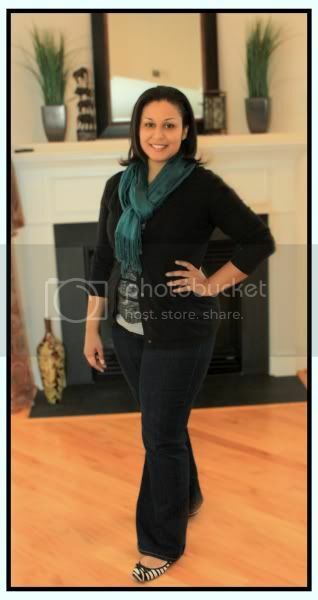 I am 5'2, and I started at 227 lbs. My trainer and I set a goal of 180, which I was then to maintain for a few months before setting a new goal. I worked out, a lot. And reset some eating habits that were not the best for me. I went to pilates twice a week, yoga once and saw my trainer twice a week. I did cardio almost every day. I hit the 180 goal in late April 2011, and started on "maintenance" - we planned to start working towards a new goal in July or August, depending on how well maintenance went. Life always has a way of tossing out your best laid plans, and in July we moved away from North Carolina to Virginia. I always "meant" to go sign up for a gym, but let life got too busy. 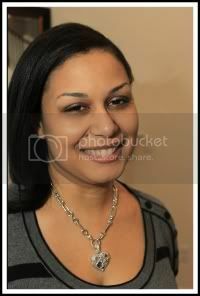 Well, here is it January 2012, and I still weighed in at 182.2. I don't think my trainer intended me to pause this long. LOL! At any rate, I have signed up for a gym, and its time to go hard in the paint again. Now, I need to decide if I want to hire a trainer again, which was amazing, or if I should just go on my own for awhile. I still need to pick up the pilates and yoga classes, if I decide to go that route again, but what is important is that I am moving forward. I suppose this counts as my New Year's Resolution, and thanks for reading my ramble! 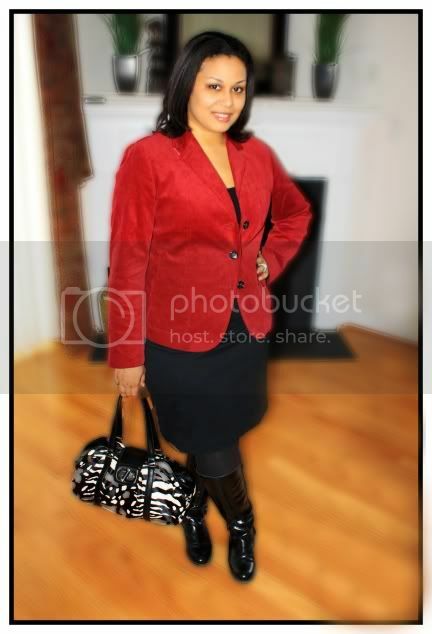 I have an article linked in the header of this blog called "Dressing Tips" for the Short and Curvy. This week, I am going to expand a little on each of the tips, with some additional images and notes. I have what I call my "Petite Arsenal". Its a set group of style notes that I know won't fail me while I am choosing clothes. That's not to say I stick with these all the time, but its a good guide for me, and it might help you as well. The first workhorse in my group is the good ole pencil skirt. Those of you who know me are not surprised, I know. :) I wear pencil skirts A LOT. They really define my figure and fit the image I want to project well. 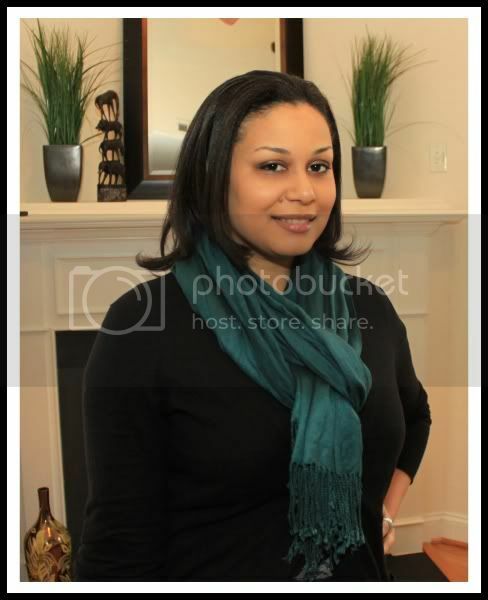 My personal favorites are heavy ponte knit or lightweight wool skirts. There are a few key points to making sure you get the right fit. Make sure the skirt is not too snug, but that it lies close to the body. Also, experiment a little with the waistline. I am very short-waisted, so I find that a high-waist skirt is very flattering for me. Play around with length, **they** say “knee length,” but I find something just a touch longer or just a touch shorter is much more flattering for me. Pencil skirts are super versatile as well. You can pair them with anything. Get one in denim and wear it whenever you would normally reach for your jeans. I think a skirt helps avoid so many fit issues petites have with pants. We might have short legs and a normal rise, or a petite rise and torso, and need misses length in the leg of the pants. With skirts, so much of that complicated formula is erased. I often feel like pants that fit me perfectly in the rise are just a little short in length and to keep from being to frustrated, I try and buy a few pair of pants that fir perfectly, and then fill in the rest of my wardrobe with skirts. 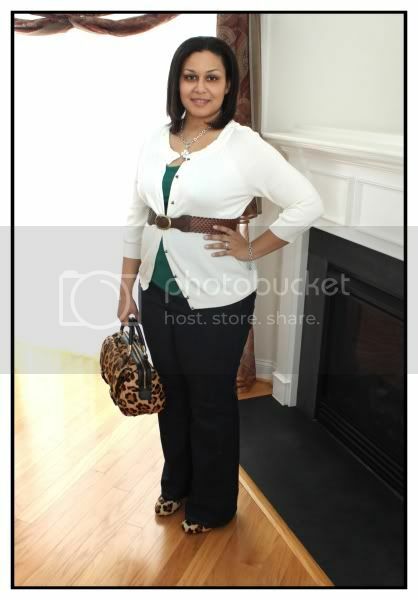 A denim pencil skirt with a black and white “ditsy” polka dot patterned blouse, underneath a Kelly green V-neck sweater. A khaki twill trouser skirt with a brown safari jacket and brown leather belt. Finish it off with shoes and a bag in bright pops of red. 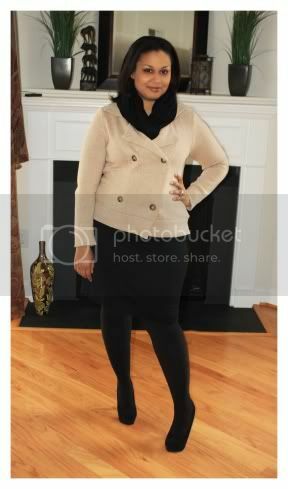 A black wool knee length pencil skirt with tights, boots and a great fitted sweater. Use a scarf to bring some interest to your face.